Praised by The New York Times, Gloria Steinem, The Huffington Post, and many more, the Award-Winning Momma Love: How the Mother Half Lives is a riveting look at the highs and lows of modern motherhood. Momma Love isn't only about the love a mother shows. It’s about the love she is shown, by herself and the world around her. Oscar nominated actressAMY RYAN, who reveals what it’s like to mother in image and youth obsessed Hollywood • KITTY STILLUFSEN, who proudly chose to have a child with her two gay best friends rather than settling for a "baby daddy" • DIANA COLBERT, determined to parent her two-year-old well during her own battle with a terminal illness • SOPHIE CURRIER, whose Supreme Court victory over her right to breastfeed changed laws in the workplace • PATRINA FELTS, an African-American woman trying to raise 2 adoptive sons of different races equally in a world full of inequality. Truly, of all the books on this list, this is the one I’m buying my friends. This gorgeous coffee-table-style book, with images and personal stories that reflect a broad cross-section of maternal reality, is like the best of this blog in a book, with pictures that aren’t of Playmobil figures, but of the lives of the writers and their children. The essays are as detailed as the photographs that accompany them, and both will stick with you for a long time. In the age of Instagram and "Fakebooking," not all depictions of motherhood feel completely genuine. With her project Momma Love: How the Mother Half Lives, photographer Ali Smith has provided 40 portraits that are as honest as they are beautiful. We've heard a lot about the work-life balancing act lately, but seeing it is a different story. Twelve years ago, photographer Ali Smith, decided to capture real moms in their daily lives. Not the power-suited mom of '80s movies or the happy homemaker of '50s advertising, but real women with real parenting challenges. 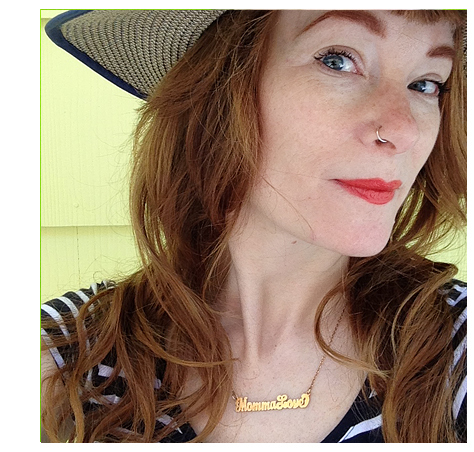 One botched book deal, forty moms, and $35,000 in donations later, Smith has self-published Momma Love, a pictorial homage to the tightrope walk of motherhood. After thousands of families lost everything to Hurricane Sandy, photographer Ali Smith went to Staten Island to help rebuild lives the best way she knows how. Every so often, something happens in life that is so poignant, fantastic and incredibly random that it makes you stop and think. Motherhood is a beautiful thing. Give your mom friend a book of stunning photos of mothers and their children that shows parenthood in it's most candid and special moments. It will make her stop and see how wonderful the task she's tackling truly is. And she'll appreciate reading something other than Dr. Seuss. Already a runaway hit with readers, Momma Love is receiving critical acclaim in the book publishing industry, having just been awarded the silver medal in the Women’s Issues category of the Independent Book Publishers Awards. Ali sums it all up: “Momma Love is the forming of a community. It’s a call to arms for anyone who is or who loves a mother. And it’s the celebration of the potential for the most powerful manifestation of love: Momma Love. 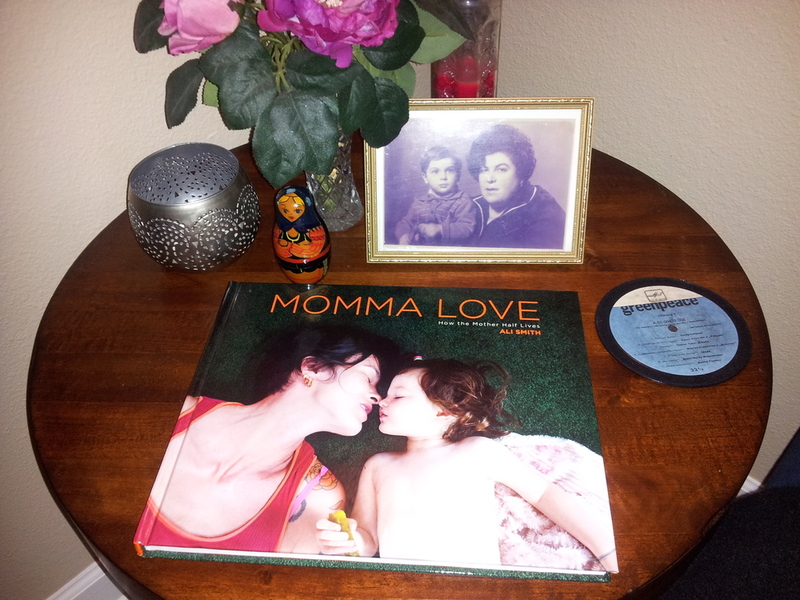 A new book uses the power of pictures to show the true motherhood experience - love, drama, and all. My Daughter is My Son ; excerpt from Momma Love. What defines womanhood? What do women expect from the world today? What does the world expect from women today? Freelance photographer Ali Smith has been on the hunt to answer these questions for most of her career. NYC photographer Ali Smith is releasing a hard-bound book — backed by iconic feminist Gloria Steinem — about the beauty, joy, trials, tribulations, pains and monotonies of modern motherhood. Raw and vivid look at motherhood. With Mother’s Day approaching, we have been highlighting some of our favorite gift items, and another one that is on the top of my list is Momma Love: How the Mother Half Lives by Ali Smith. "I LOVE your book, beautiful images!!" - Bob Carey "The Tutu Project"
"I just opened your book and it took my breathe away." - Gina Crosley- Corcoran "The Feminist Breeder"